India's decision to increase FDI in defence is seen as a long-awaited positive move in the US, but major American defence industry players noted that there is unlikely to be a rush towards the country unless New Delhi is ready with fairly applied regulations. "The announcement on FDI in defence reflects positive movement and we welcome that," a Boeing spokesperson told PTI. "However, we await the final details to understand the meaningful changes this would bring to the defence sector and local industry," the spokesperson said. Opening the doors to shore up foreign investments, India on Tuesday liberalised FDI limits in a dozen sectors, including allowing higher limits in 'state-of-the-art' defence manufacturing, to boost the sagging economy. The Pentagon noted this as a positive development. "DoD (Department of Defense) views this change as a positive indicator that India is considering reform in its defence sector," Pentagon spokesman Lt Col Jeff Pool said. While there was no other on the record reaction from the government or from defence sector companies, private industry players said the increasing FDI in defence to 49 per cent would change the dynamics and would attract a huge amount of investment not only from American companies but others also. "Forty-nine per cent is a positive step forward, but it does not undercut indigenisation. It is going to allow for further indigenisation, because more companies would be wanting to invest in the production and manufacturing capabilities of Indian companies," said a private defence sector player. feeling in the US defence sector that in taking such a decision the strong views of Defense Minister A K Antony has been overruled by Prime Minister Manmohan Singh. The increase in FDI to 49 per cent in the defence sector, a private industry player argued, would result in more indigenisation of defence products. "Forty-nine per cent means, more companies would be interested in going to India," he said, but cautioned that Indians should not expect an immediate impact on its FDI. "This is not going to happen overnight, even by FY-2017 or 2018. Companies would have to do their evaluative process and until the regulations are very clear and fairly applied, as to what company is given what FDI percentage, only then we will see foreign companies be interested in actually taking the next step forward," he said. Referring to the provision of dealing with FDI in the defence sector above 26 per cent on a case by case basis, US sources emphasised that there has to be a clear rational on the approvals made by the Indian government in this regard. "There is going to be no rush from anywhere in the world. This policy has to be worked out first, meaning they have to have a very clear guideline on what the Indian Government is looking for to allow for 49 per cent," another defence industry source told PTI. It is a positive step forward, but also keep in mind that the Indian Government has done this not because they see that this as a move forward for the Indian industry. They have done this as part of their effort to close the fiscal gap, he said. 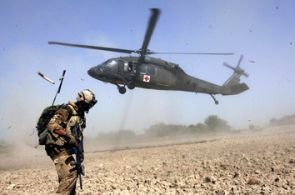 With the sequestration - automatic budgetary cuts - badly hitting the US defence sector, another source said there is very little capital among US industries to invest abroad.